Billing is one of the most crucial operations in telecom services industry. Companies can present themselves as a prestigious brand if they utilize effective billing software. The complexities arising in the smartphone technology along with increase in the number of telecom service providers demands the companies to use a robust system for billing process. Here are some major features associated with telecom billing software that are essential for effective billing operations. Every telecom firm has different processes associated with bill generation and management, acquisition of subscribers and inventory management. Therefore, the billing software firm must be able to provide the customized solutions as per the working of telecom service provider. E-bills are quite convenient for subscribers in present day scenario as they can view them on their computer screens and smartphones. It also saves the telecom firms from hassle related to printing and distribution of bills. Therefore, the billing system must be able to generate electronic bills for the subscribers. Lifeline telecom companies usually fail to screen the non-eligible and duplicate subscribers whenever they receive an application. A good billing software helps these segment of companies to easily track the duplicate and non-eligible customers so that companies does not face losses. Identification is usually done using social security number and date of birth of applicants. Software must be integrated with all important gateways of payment like Ace Express, Paypal, MoneyGram and Western Union etc. This will also help the subscribers to pay the bills online through net banking and other related methods. Customers can also pay the bills easily through their smart devices using this feature even if they are sitting on some other region of the world. As different telecom firms have different business models like postpaid, prepaid and hybrid to name a few, the telecom software must be flexible enough to support all these models. The software must also be able to provide convergent billing solutions in which single bill is generated for different services offered by the company. The software must allow automatic calculation of taxes as per the tax regulation of the area without any error. Different regions of the world have different tax structure related to telecom services. The billing software must be able to modify as per these tax rules of every area. The software must possess facility for applicants to sign the application related to telecom service electronically. This gives convenience to the applicants who will prefer to stay connected with your firm. The software must have provisions to encrypt the data in order to maintain the security. 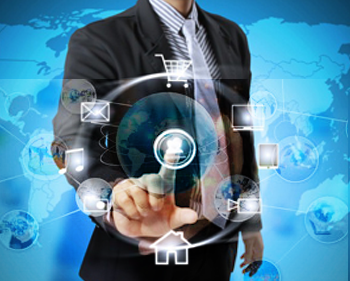 All the crucial information related to customer must also remain secure in the software. There should also be a feature to keep the backup of the data so that companies do not get affected in case the data is lost. Let’s check all the benefits that telecom companies can receive if they use billing software that possesses all these features. The bills will be error-free due that ensure that no losses are incurred on the telecom companies. Features like online bill payment and e-bill generation will make sure that the customers are satisfied. Detailed analysis of expenses and profits through billing software will help the companies in making better managerial decisions. Well-equipped software will allow telecom companies to expand their process in other parts of the world. Companies are able to divide the customers into different batches and generate bills accordingly through unique billing cycle for each batch. Different tariff plans can be effectively introduced by the company on regular basis. By automating the billing process, the companies are able to put their complete focus on other core areas related to telecom business. Companies can modify features of the software without spending a lot. Vcall Global is one such organization that provides telecom billing software with all the featured discussed above. Along with the billing system, the company also offers customer support process to handle the telecom subscribers effectively. Therefore, obtain the maximum benefits and give edge to other service providers by using the finest telecom billing system.